Dental Problems In Children: What Common Problem In Children? Your children can be affected by various oral health problems. These problems can lead you and your children to visit your dentist. Your children might experience some normal teeth development problems like teething or thumb sucking. However, your children might also experience other problems like decay or early tooth loss. These problems should be prevented or treated to limit the damage causes to children’s oral health. If you are wondering on dental problems in children, read this simple review to get more information about it. The first common issue of dental problems in children is teething. The first tooth of your baby will appear between the ages of five and seven months. This process is involving the teeth where those will move and break through the gums. This teething process will cause your baby to experience discomfort. You do not need to worry since this process is quite normal. When your children suffer from teething issue they will experience drooling, chewing, and having swollen gums. Commonly, teething will not cause colds, high fever, or diarrhea. If you notice your children experience more symptoms than the normal symptoms above, you should bring your child to doctor. You need to pay attention since there are many parents who mistake other medical problems with the cause of teething. Next, nursing caries issue is also known as dental problems in children. This problem occurs if the children are sleeping with bottles of milk or juice. Nursing caries usually occur at the children between age of 1 and 2 years. However, the problem can also occur at breastfed infants who are falling asleep while nursing. The problem is started when there is white spot on the teeth or brown area which can cause tooth destruction. Parents are recommended to give water for the children before they are going to bed. It is done to avoid the dental problem during childhood period. If your children have thumb sucking habit, you should be careful. This habit is indeed common among many young children. It will not cause any dental problem if the habit ends by age 5. However, it might cause many problems when the front teeth start to come through. Those problems are including protruding teeth, bite problems, and infections. Another issue of dental problems in children is tooth decay or destruction of tooth enamel. This problem is also known as caries or cavities. It is problem which is also preventable. The problem might occur when foods which contain of sugars and starches like candy, chocolate, milk, and other are left on the teeth. The bacteria in your children’s mouth will turn the food and create acids. The food, saliva, acid, and bacteria will attack your children’s teeth enamel and cause activities. 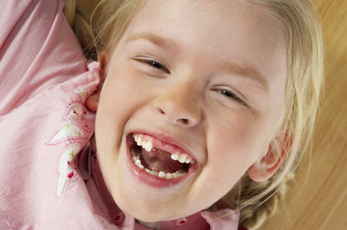 Other dental problems in children are including broken teeth and early tooth loss. This entry was posted by mimin on January 16, 2019 at 5:40 pm under Dental Treatment. Tagged common dental problems in children, common tooth problems in children, dental problems children with gerd, Dental Problems Diseases in Children, dental problems in children acid reflux, dental problems in children pictures, dental problems in children tongue thrusting, dental problems in toddlers, kids teeth problems, oral health problems in children, pediatric dental problems, problems in children dental care. Both comments and pings are currently closed.